TWO parties this weekend – most unusual for me!! 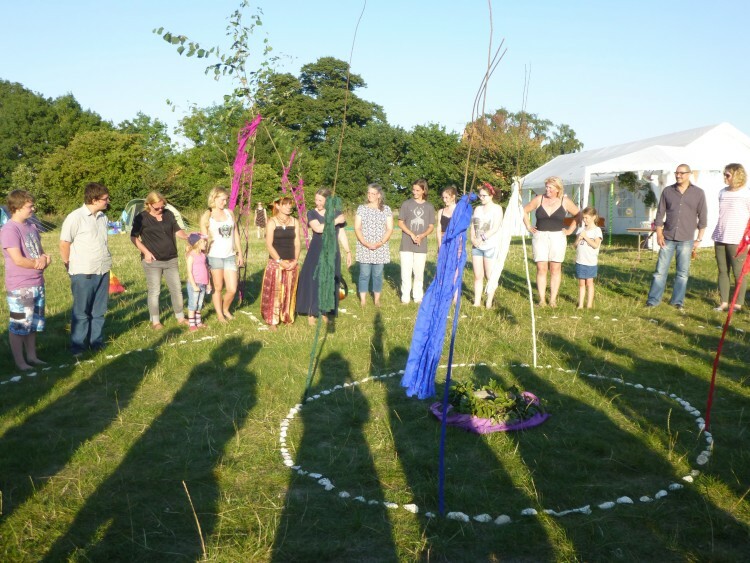 Elizabeth was celebrating her 50th birthday with a weekend camping at Ivy Farm, at East Mersea. The weather on Saturday, when I went down to join them, was wonderful – really hot (almost too hot) with a cloudless sky, and later a beautiful sunset. 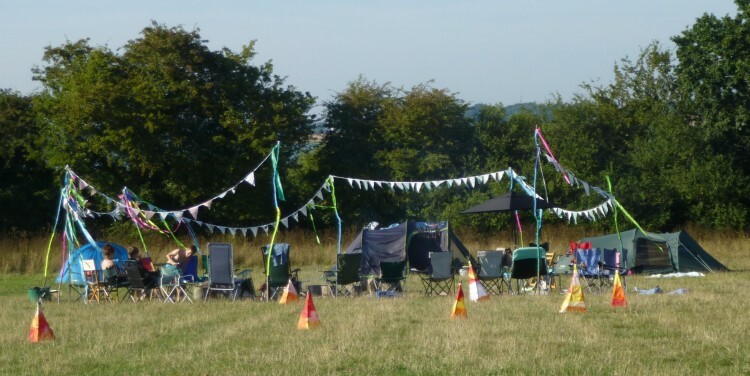 They had made the campsite look lovely, and all sorts of celebrations took place, with multiple birthday cakes, and singing and ceremonies. 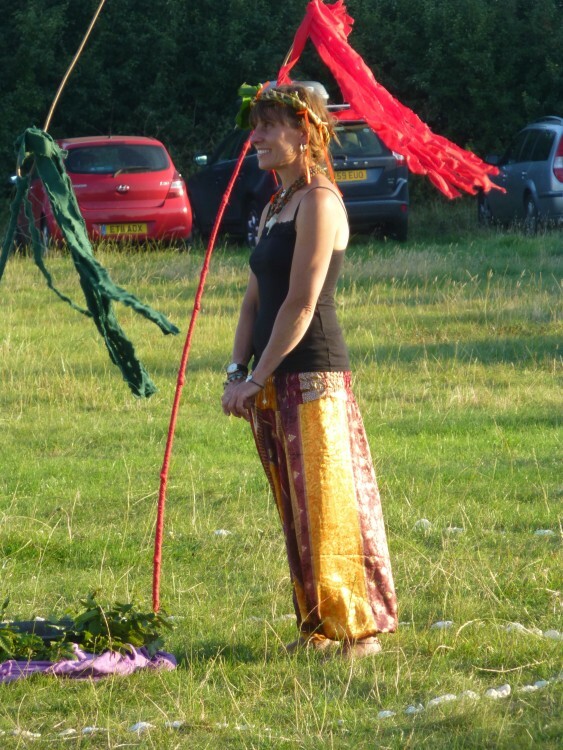 More celebrating on Sunday, when Christina had a house-warming garden party at her new home in Wivenhoe. It rained! – but we rose above it, and it turned into a conservatory-and-gazebo party, and everyone enjoyed themselves and there was more delicious cake, and I’m sure Christina feels her house is now well warmed! It’s pouring with rain again this morning – in fact it is so dark (and this is 11.15 in the morning) that I almost need the light on!! – but my main job for the morning is designing the invitations for my Open Studios weekend so I’m very glad to have an inside job! The invitation list seems to get longer by the day . . . . .